Back by popular demand! 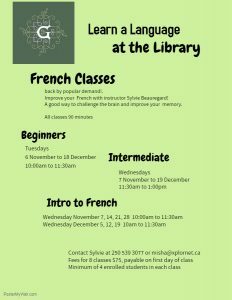 Improve you French with instructor Sylvie Beauregard. A good way to challenge the brain and improve your memory. All classes are 90 mins. Fees for 8 classes is $75, payable on first day of class. Minimum of 4 enrolled students in each class. 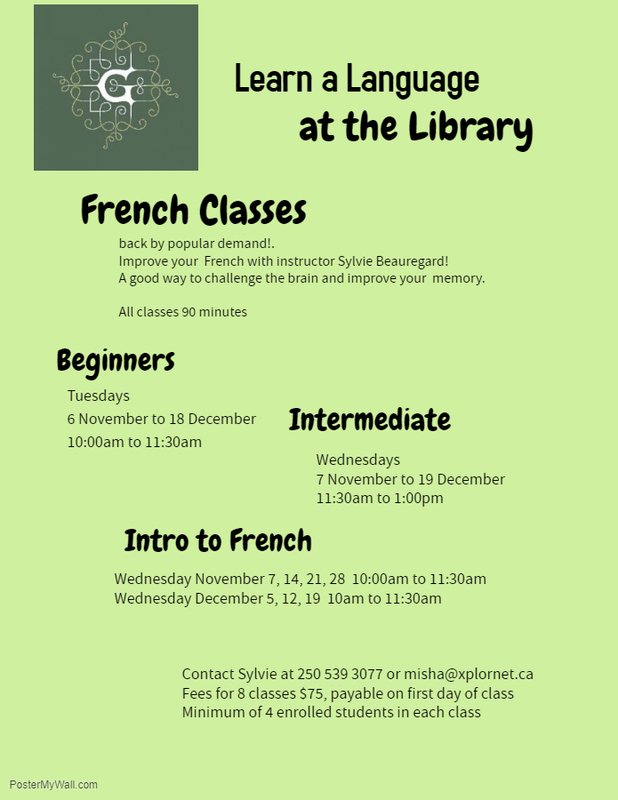 Contact Sylvie at 250-539-3077 or misha@xplornet.ca. 11:30 am to 1:00 am.